Pelee Island Winery is Canada's warmest and southernmost appellation, located in the Ontario region on the Lake Erie North Shore province. Icewine is produced from grapes which are left on the vine in the autumn and then hand harvested in December and January when temperatures fall below -10 C and the grapes have frozen solid naturally on the vine concentrating the sugar. 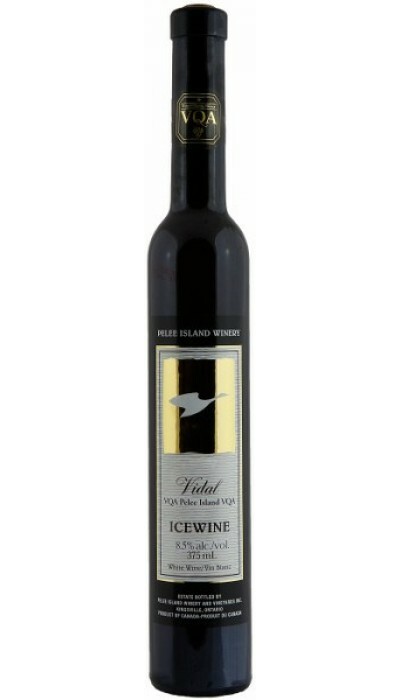 This was the first time I have tasted an Icewine and it was quite an experience. This dessert wine was incredibly smooth and rich with a big nose of apricots, peaches and mango. Color is orange/ gold. Balanced sweetness with a finish of honey and apples. Delicious and great to try a wine from Canada for the first time.